42,000 employees, 175 countries and brands like Huggies® and Kleenex® make Kimberly-Clark the world leader in hygienic papers. 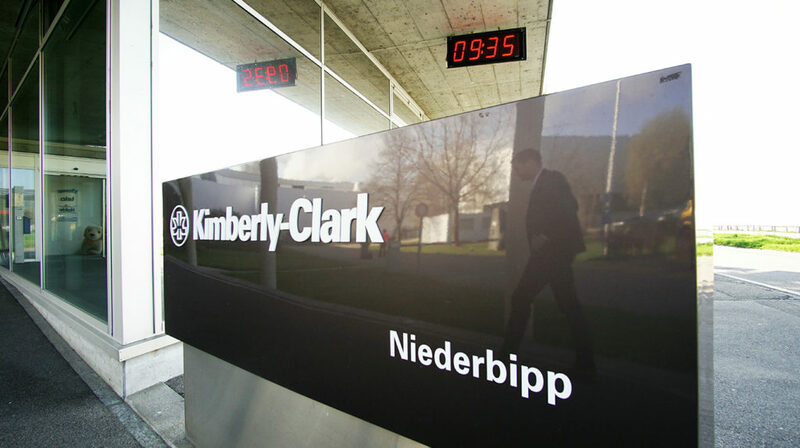 At its plant in Niederbipp, in the Swiss canton of Bern, 320 Kimberly-Clark staff produce products primarily for the local market. 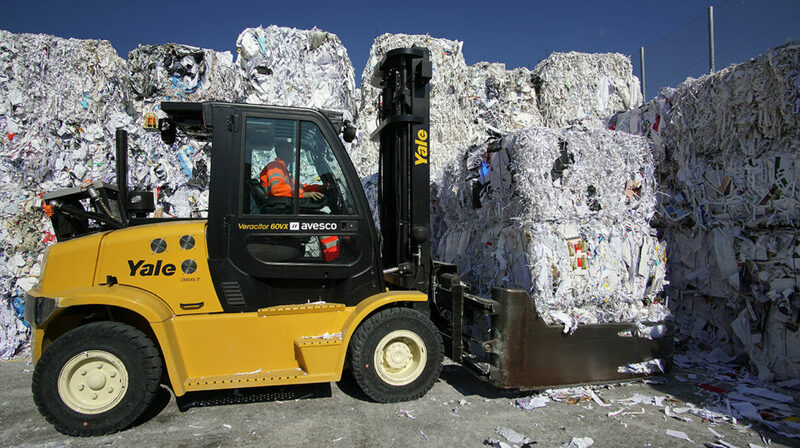 Paper production is not child’s play: it’s hot, it’s humid, there’s dust everywhere and production is a 24-hour a day operation. “Our work environment places very high demands on the vehicles in our factory,” says Andreas. 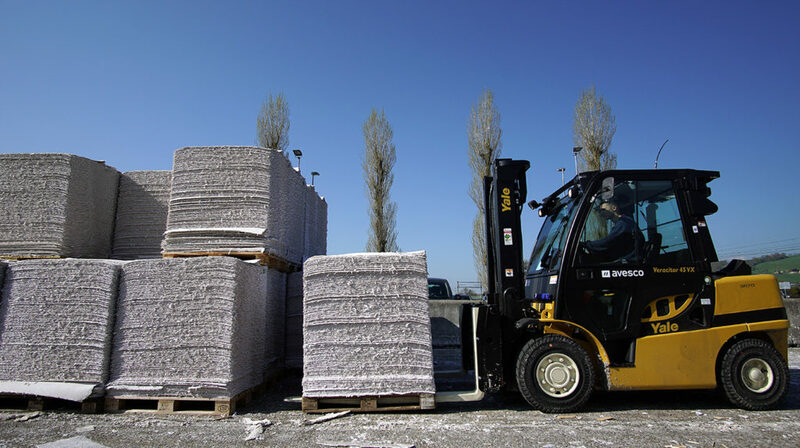 At the same time, it is necessary to move large quantities: the paper machines have an almost insatiable appetite for waste paper and pulp – the two key raw materials in paper making. 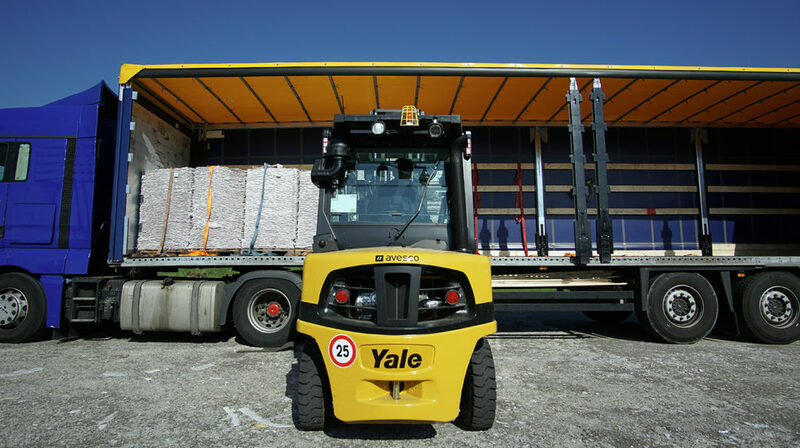 The Kimberly-Clark fleet of 23 Yale trucks work accordingly hard: six diesel engine forklifts, from the GDP35VX to the GDP60VX, operate in the outside yard keeping the raw materials flowing and five electric trucks focus on logistics in the warehouses. 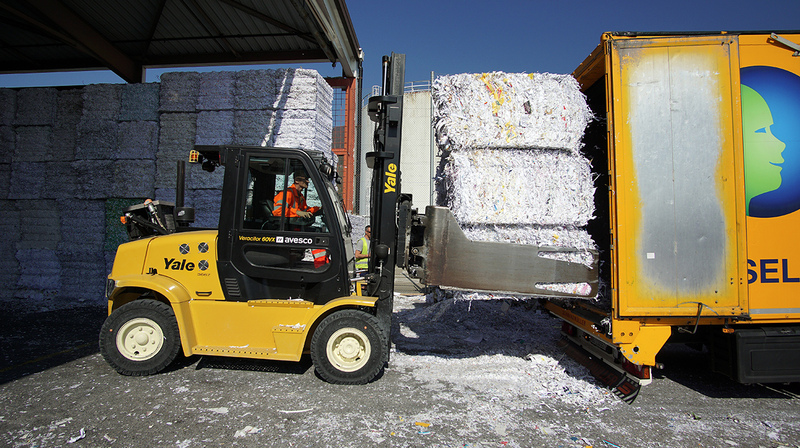 They have impressively long service lives, with the ERP16/18 VF trucks clocking up over 8,000 hours in five years onsite and one GDP35VX registering 14,750 hours in just 65 months. 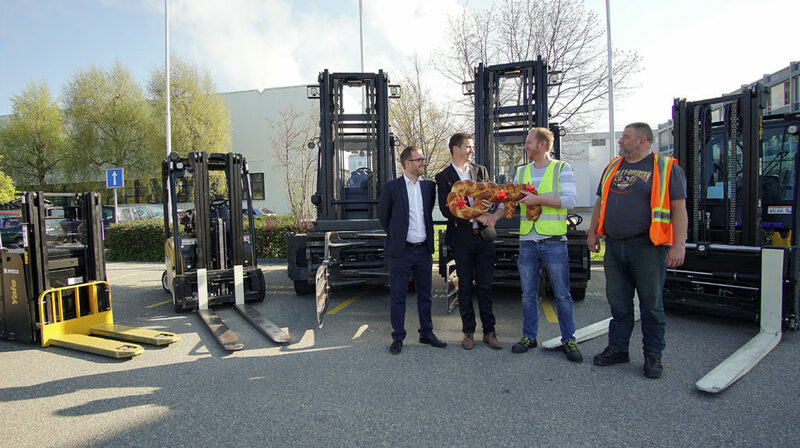 “The trucks are used intensively, also in terms of operating hours,” says Andreas. 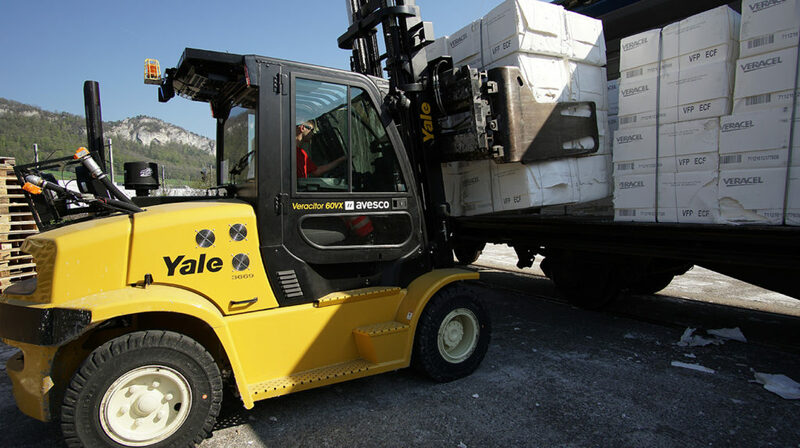 This entry was posted in Attachments - Clamp, Case Studies, Counterbalance, Dealers, Ergonomics, Heavy Duty Forklift, Innovation, Maintaining Your Yale Equipment, Partnerships and tagged Avesco, Forklift, GDP35VX, GDP60VX, Huggies, Kimberly-Clark, Kleenex, LiftTruck, Niederbipp, Paper and Wood, Yale, Yale Europe Materials Handling. Bookmark the permalink.